Continuing the Marks and Spencer Autumn Winter collection, here I compiled another look with focus on the wonderful weaved bodycon skirt. I simply love the fit and intricate weaving of the skirt. Its so flattering that every girl would love to lay their hands on this one. Icing on the cake is that this skirt is available in more prints and colors too. The polka dot top with frills in front added the perfect amount of femininity required for this skirt. Not to mention, those drool-worthy pumps in such bright red color !! 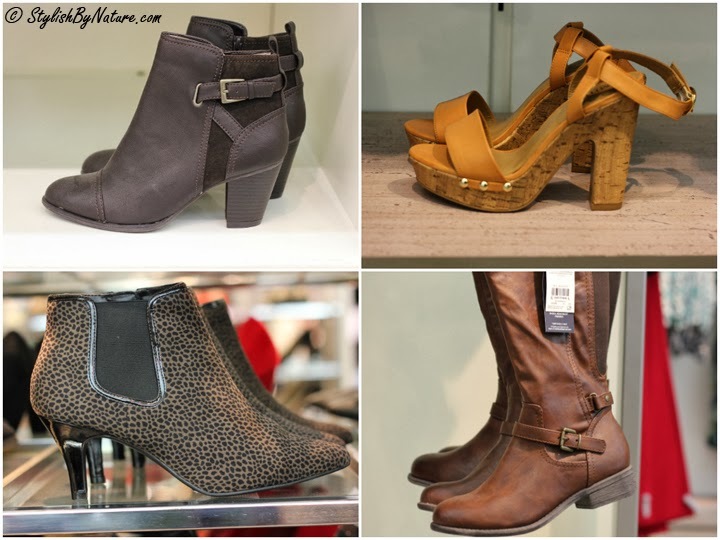 You will be spoilt for choice, when it comes to amazing shoe section at MnS. Check out the most comfortable boots in varied styles and colors.